Over the years Las Vegas has gone through an increase in rainfall, this leads to flash flooding and water damage. Therefore, what can you do to prevent your home from suffering water damage? Furthermore, what can you do if this has happened to you and you need a water damage contractor Las Vegas NV company to help? Elite Water Damage Las Vegas is here to help you answer all of the above questions. Flash flooding can take place any time of the day and found when the land is dry. It can also take place during heavy rain when the snow starts to melt. Floods can also happen when rivers flowing along creeks that used to be dry starts filling up in a short amount of time. This all happens without warning and causes water damage as it has a destructive power once it starts flooding. We recommend you invest in a plastic water barrier placed around the foundation to keep water out. The fact is, not all water damage happens outside the home. Make sure to fit non-return valves on pipes and drains. This prevents the sewage from flowing into your home when a flood takes place. Try to invest in doors and window frames that are water-resistant and use flood skirts at entryway vents and windows. If you have a sump pump on the property make sure it is working. Another big help is to use sandbags to divert the flow of floodwater. If you know your home is prone to water damage caused by floods do not leave your valuables on the floor and lift them up high with shelving. When installing electrical outlets lift them up high away from the floor and if a flood is taking place, unplug all the appliances and turn the power off. Always make sure you have a plan of action in place for escaping the home when water starts flooding in. 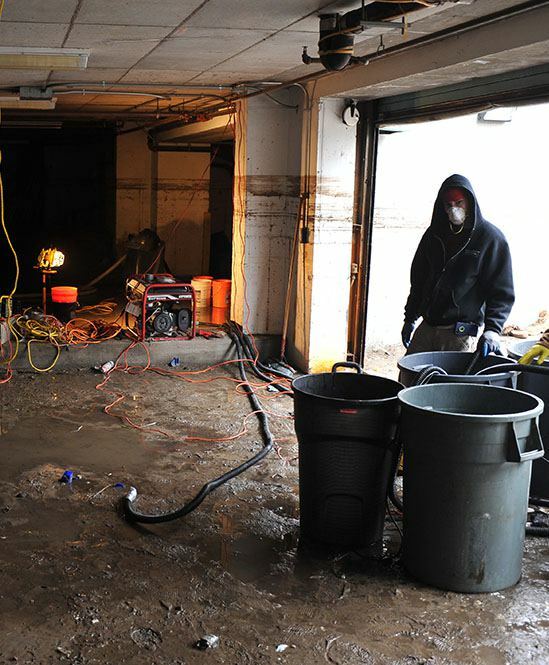 The best is to call our experts to help take care of the water damage as it can lead to an unsafe situation. We will come and dry out your property and repair your home back to new. If you notice a mold buildup, we can help you remove it. You do not want to be left with breathing problems in the home caused by mold. We take care of contamination immediately to ensure the structure of your home remains in tip-top shape. Our team will help clean up the mess and disinfect your home. Elite Water Damage Las Vegas can help repair damage and prevent future floods from happening. Whether it is a leaky roof, we can come in and fix the problem. If you have had a home flooding caused by a water heater, turn it off and call us to help. We have the experience and the tools to get the job done properly. Contact us today and let us take care of all your home water damage problems.